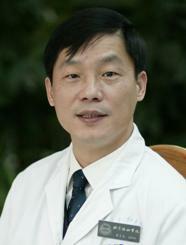 Dr. Taisheng Li is a leading physician-scientist of HIV/AIDS in China. He has been caring for patients with HIV at rural and urban clinics since the beginning of the HIV epidemic in China and organized the writing of the first edition of the Guidelines for Diagnosis and Treatment of HIV/AIDS of China. He is currently the Vice Chair of the Chinese Society of Infectious Diseases and the Team Leader of the HIV/AIDS Branch of this society. His research interests include immunological alteration associated with HIV/AIDS, as well as SARS and other emerging infectious diseases in China. He has over 100 Chinese publications and 22 PubMed referenced publications.